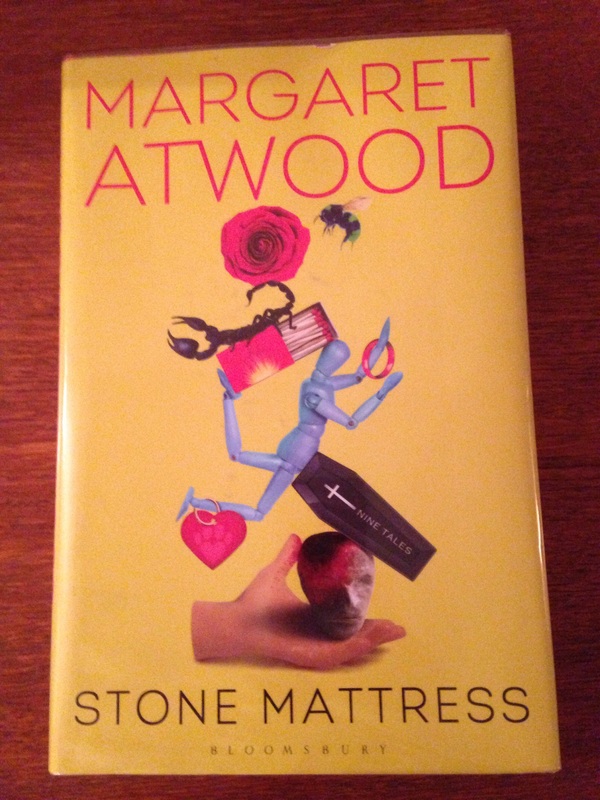 Stone Mattress is a collection of nine short stories, or tales as Margaret Atwood prefers to call them. The first three, Alphinland, Revenat, and Dark Lady are linked, telling the tales of a girlfriend, a boyfriend and his mistress (though as they take place in bohemian Toronto in the ’60’s lovers is maybe a better description of their relationships). Now, it is many years later. They are all a lot older, a lot greyer, and all still living with the impact of one man’s infidelity. The rest of the tales cover freaks of nature (Lucus Naturae), murder (The Freeze Dried Groom), misunderstandings (The Dead Hand Loves You), revenge (Stone Mattress), and the rage of youth and ineffectualness of age (Torching the Dusties). This is probably all too simple a rounding up as each tales has plenty of layers and complexity and many touch on anger, resentment, sexuality – and sexual violence. My favourite tale was I Dream of Zenia with the Bright Red Teeth because it revisits characters from one of my favourite Margaret Atwood novels, The Robber Bride. This time, Zenia might actually be doing the right thing and reading this tale felt like spending time with old (if slightly dysfunctional) friends. The tale is one of three that have been previously published- the rest, I believe, are new. In her acknowledgments, Margaret Atwood says she has chosen to call these tales to remove them “from the realm of the mundane” and “evoke the world of the folk tale, the wonder tale, and long ago teller tales”. This idea fits perfectly with what I read because each story is outside the ordinary, sometimes fantasy, and a little bit twisted. All are pure Atwood – and so right up my street. Already a fan of the author, this book cemented that. Loved it! Intriguing review Emma. Margaret Atwood is an author I have not gotten to yet, but she is definitely on my list. Maybe I will start with the “Robber Bride” instead of “The Handmaid’s Tale”, since that is your favorite. I love Margaret Atwood! The Handmaid’s Tale is one of my favorite books. I have been wanting to read this one for a while. Great review! Thank you. I can really recommend it!